The University of Georgia will bestow one of its highest honors to Brahm P. Verma, professor emeritus of engineering, during Founders Day activities on Jan. 28. 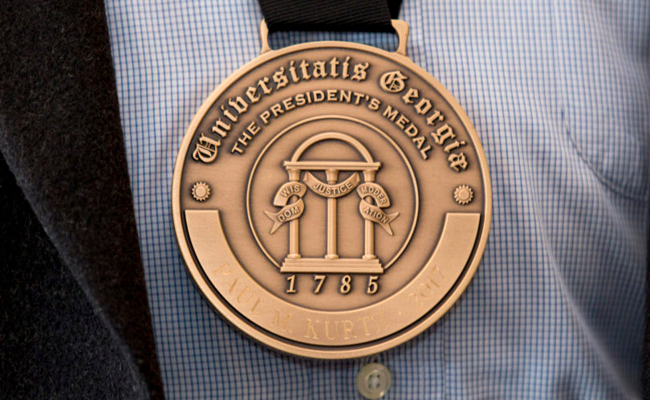 The President’s Medal recognizes extraordinary contributions of individuals who are not current employees of UGA and who have supported students and academic programs, advanced research and inspired community leaders to enhance the quality of life of citizens in Georgia. In addition to Verma, the university will honor Sylvia Hutchinson, professor emerita of higher education. Verma was instrumental in founding UGA’s Faculty of Engineering and ultimately UGA’s College of Engineering. Two decades ago, he and others began advocating for a full-fledged comprehensive engineering program at UGA. He helped in the formation of 15 academic degree programs. 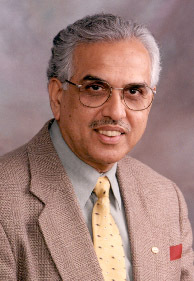 Verma also led in the formulation of the Institute of Biological Engineering, a professional society for Advancing Biology-Inspired Engineering, and served as the Founding President. Verma received his bachelor’s in agricultural engineering from the University of Allahabad in India, his master’s in agricultural engineering from the University of Kentucky and his doctorate in agricultural engineering from Auburn University in 1968. When he arrived at UGA in 1970 as an assistant professor, he was the first person of Indian origin appointed to a tenure-track faculty position in an agricultural engineering department at a U.S. university. He was named an associate professor in 1975 and a professor in 1982. Since 2007, he has served as a professor and associate director emeritus. He was a full member of the UGA Graduate Faculty, a Faculty Fellow in the Artificial Intelligence Center, associate director of the Faculty of Engineering and coordinator of engineering research. His research focuses on the theory of models and principles of similitude; engineering design and decision methodology; and the application of computational intelligence for modeling agricultural and biological systems. He will be remembered for his many contributions related to the creation of the College of Engineering at UGA.